This is the first in a series of blog posts about the draft deal on the renegotiation of the UK’s EU membership, tabled earlier today. I am starting with the critical issue of free movement of EU citizens (often referred to as ‘EU immigration’). Subsequent posts will be on the other substantive issues (competitiveness, Eurozone relations, sovereignty) and on the legal form of the deal (see also Katarzyna Granat's analysis of the 'red card' for national parliaments). The draft deal takes the form of six draft legal texts: a Decision of the EU Member States’ Heads of State and Government (the ‘draft Decision’); a Statement of the Heads of State and Government (which consists of a draft Council Decision); a Declaration by the European Council (which consists of the EU Member States’ Heads of State and Government, although when acting collectively they are legally distinct from the European Council): and three declarations by the Commission. Of these, Section D of the draft Decision and two of the Commission declarations relate to immigration issues. Having said that, the key feature of the draft deal on immigration is the intention to propose amendments to the three main current EU laws. These three laws are: (a) the EU citizens’ Directive, which sets out the main rules on most EU citizens moving to other Member States: (b) the EU Regulation on free movement of workers, which contains some specific rules on workers who move; and (c) the Regulation on social security, which sets out rules on coordination and equal treatment in social security for those who move between Member States. All three sets of amendments are to be proposed by the Commission as soon as the main draft Decision enters into force. That will happen (see Section E of the draft Decision) as soon as the UK announces that it will remain a member of the EU (that would only happen, of course, if the UK public vote to remain in the upcoming referendum). The draft deal includes a commitment from the Commission to make these proposals, and from the other Member States to support their adoption in the EU Council (oddly, the latter commitment does not apply to the proposed amendment to the citizens’ Directive, since that proposal is not referred to in the draft Decision). However, all three proposals are subject to the ‘ordinary legislative procedure’, meaning that they have to be agreed with the European Parliament. It is also possible that their legality would be challenged before the EU Court of Justice. I can’t appraise the political likelihood of the European Parliament approving the proposals, but I will offer some thoughts about possible challenges to their legality if they are agreed. Unlike some other parts of the draft deal (on the position of non-Eurozone states, and the clarification of ‘ever closer union’), there is no mention of possible future Treaty amendments to give effect to any part of the text dealing with free movement (immigration) issues. It should be kept in mind that the texts are not final, and at least some amendments might be agreed before their formal adoption – which is planned for later in February. Although the press discussion has focussed on the ‘emergency brake’ in in-work benefits, there are three categories of issues: benefits (including a couple of points besides that emergency brake); the family members of non-EU citizens; and EU citizens who commit criminal offences. I refer back to Cameron’s November 2014 speech on EU immigration issues (which I analysed here) where relevant. It should be noted that there is no proposed text in the deal on two of the issues which Cameron had raised: removal of job-seekers if they do not find a job within six months, and a requirement to have a job offer before entry. Both these changes would have required a Treaty amendment, in light of the Antonissen judgment of the CJEU. There are three benefits issues in the draft deal: (a) the ‘emergency brake’ for in-work benefits; (b) the export of child benefit; and (c) benefits for those out of work. Cameron had called for no access to tax credits, housing benefits and social housing for four years for EU citizens, but later signalled his willingness to compromise on this point. The position of non-workers and job-seekers is discussed below; but the position of workers is legally and politically difficult, since the Treaty guarantees them non-discrimination. In the end, the draft deal suggests not permanent discrimination on this issue, but temporary discrimination on the basis of an ‘emergency brake’. The Commission will propose legislation on this issue, which will provide that the UK (or other Member States) can apply a four-year ban on in-work benefits, subject to substantive and procedural criteria. Procedurally, the rules will say that a Member State will apply to the Council to authorise the ban, which will approve it by a qualified majority on a proposal from the Commission (the European Parliament will have to approve the legislation, but would have no role on deciding if the brake should be pulled). A Commission declaration states the UK qualifies to pull this ban immediately; but there is nothing in the deal to suggest that Member States – who would have the final word – also agree. As I have already pointed out, there is no legal requirement in EU law that the legislation would have to give the final word to the Council, rather than the UK itself. The restrictions would only apply for a certain number of years (the exact number is not yet agreed), and would have to be phased out during that time. It’s not clear how much time would then have to pass before they could be applied again. ‘an exceptional situation exists on a scale that affects essential aspects of [a Member State’s] social security system, including the primary purpose of its in-work benefits system, or which leads to difficulties which are serious and liable to persist in its employment market or are putting an excessive pressure on the proper functioning of its public services’. There’s certainly a widespread perception that one of more of these problems exist in the UK and are caused by the large increase in the number of workers from other Member States in recent years. However, there are two serious problems with the proposed mechanism. Firstly, as Jonathan Portes has argued, objective evidence for this view is lacking. Secondly, while the CJEU has been willing to accept certain limits to free movement rights on the grounds of protecting health systems (see my prior blog post for details), this proposal would have a much more far-reaching impact on non-discrimination for workers. It’s certainly conceivable that by analogy from the Court’s obvious willingness to keep EU monetary union afloat, along with its endorsement of restrictions for non-workers in recent years (see below), it might accept that these plans do not violate the Treaties. But as EU currently stands, that is probably a long shot. Cameron sought to end payment of child benefit to children living in other Member States. This payment is provided for in the EU social security coordination Regulation, which would have to be amended to change those rules. There was a strong argument that the plan would have breached the Treaties, since in the case of Pinna the CJEU struck down EU legislation that allowed Member States not to export such benefits at all as a breach of the rules on free movement of workers. The draft deal does not go as far as Cameron wanted: instead child benefit can be limited by indexing it to the standard of living in the receiving State. It’s an open question whether this would breach the Treaties, since there is no case law on the point. Cameron sought to end social assistance for job-seekers. The EU legislation already rules out social assistance for job-seekers, so this reflects the status quo. Although the CJEU has said that job-seekers have a right to access benefits linked to labour market participation, if they have a link already with the labour market in question, it took a narrow view of this rule in the judgment in Alimanovic. Pure benefit tourists (who have never had work in the host State) are not entitled to benefits, according to the judgment in Dano. So the draft Decision simply reiterates this case law, which has already satisfied Cameron’s main objectives in this field. In his 2014 speech, David Cameron announced his desire to end all distinction between EU citizens and UK citizens as regards admission of non-EU family members, by allowing the UK to impose upon the EU citizens the same strict conditions that apply to UK citizens. Since this would have deterred the free movement of those EU citizens who have non-EU family members, there is a good change that it would have required not just a legislative amendment but a Treaty change. (Note that according to the CJEU, EU free movement law does not just require the abolition of discrimination between UK and other EU citizens, but also the abolition of non-discriminatory ‘obstacles’ to free movement). Let’s examine the planned legislative amendments, then the ‘clarifications’. The proposed amendments would exclude two separate categories of non-EU citizens from the scope of the citizens’ Directive: those who did not have prior lawful residence in a Member State before marrying an EU citizen who has moved to another Member State; and those who marry such an EU citizen after he or she has moved to a Member State. It’s possible to fall into both categories; the first category will exclusively apply to those who got married while an EU citizen lived in a non-EU state, or those who got married in an EU State even though the non-EU citizen was not lawfully resident there. For these people, national immigration law will apply. The background to this proposal is CJEU case law. In 2003, in the judgment in Akrich, the CJEU ruled that Member States could insist that non-EU family members had previously been lawfully resident in the Member State concerned (previously no such rule appeared to exist). But in 2008, in Metock, the CJEU overturned this ruling and said that a prior legal residence requirement was not allowed. Several points arise. First, the basic definition: what is lawful residence exactly? Presumably it means more than lawful presence, ie a stay of three months on the basis of a valid visa or visa waiver. But what about ambiguous cases, such as a pending asylum application or appeal? EU legislation says that asylum-seekers can usually stay until the application fails (if it fails), and then during the appeal (subject to some big exceptions). According to the CJEU, the EU’s main rules on irregular migrants therefore don’t apply to asylum-seekers whose application is pending. Secondly, it’s odd to refer to national law alone, since sometimes EU law governs the admission of non-EU nationals. Even the UK (along with Ireland) is bound by the first-phase EU asylum law, and by the EU/Turkey association agreement. Denmark is bound by the latter treaty. And all other Member States are bound by the second-phase asylum law, along with EU legislation on admission of students and researchers and some categories of labour migrants (the highly-skilled, seasonal workers and intra-corporate transferees). Thirdly, it’s arguable that the EU principle of non-discrimination applies. That would mean, for instance, that if a German woman already in the UK married her American husband, the UK would have to treat her the same as a British woman in the same situation – but no worse. This would in fact be relevant to every Member State – there’s nothing in this part of the proposal that limits its application to the UK. Finally, the consequences of the rule need to be clearer. Does the exclusion from the scope of the Directive mean that the family member is excluded forever from the scope of the citizens’ Directive – even if the person concerned is admitted pursuant to national immigration law? That would mean that national immigration law (or EU immigration legislation, in some cases) would continue to govern issues such as the family member’s access to employment or benefits, or subsequent permanent residence. It’s also not clear what happen to children such as the step-child of the EU citizen, or a child that was born to the EU and non-EU citizen couple while living in a third country. Could this legislative amendment violate the EU Treaties? In its judgment in Metock, the Court referred almost entirely to the wording of the citizens’ Directive. It mainly referred to the Treaties when concluding that the EU had the competence to regulate the status of EU citizens’ third-country national family members. But it also referred to the Treaty objective of creating an ‘internal market’, as well as the ‘serious obstruct[ion]’ to the exercise of freedoms guaranteed by the Treaty, if EU citizens could not lead a ‘normal family life’. It must therefore be concluded that there is some possibility that the revised rules would be invalid for breach of EU free movement law. Would the amendment violate the EU Charter right to family life? That’s unlikely. While the right to family life is often invoked to prevent expulsions of family members, the case law of the European Court of Human Rights gives great leeway to Member States to refuse admission of family members, on the grounds that the family could always live ‘elsewhere’ – as the CJEU has itself acknowledged (EP v Council). There is some possibility, though, that the CJEU would be reluctant to follow that case law (EP v Council concerns families entirely consisting of non-EU nationals) in the context of free movement: the idea that you could go away and enjoy your family life somewhere else is antithetical to the logic of free movement. As for the ‘clarifications’ in future guidelines, they will of course not be binding. They first of all refer to cases where an EU citizen has moved to another Member State and come back to the home State (known in the UK as the Surinder Singh route). The definition of what constitutes a ‘sufficiently genuine’ move to another country is set out in the case law (three months’ stay with a family member) and mere guidelines cannot overturn this. It should be noted that the Surinder Singh case law is in any event derived from the Treaty. This line of case law does not accept that such movement between Member States is an ‘evasion’ of national law – as long as free movement rights are genuinely exercised with a family member for a minimum time. The CJEU also usually assumes (see Metock, for instance) that a ‘marriage of convenience’ cannot apply to cases where there is a genuine relationship, even if an immigration advantage is gained. (The Commission has released guidelines already on the ‘marriage of convenience’ concept: see analysis by Alina Tryfonidou here). Having said that, the planned legislative changes will complicate the plans of people who wish to move to another Member State with their non-EU family and then move back, since national immigration law will apply to their move to the first Member State. It will be important to see how the legislative amendments address the transitional issues of people who have already moved to a host Member State before the new rules apply. Can the home Member State say that those families must now obtain lawful residence in the host State for the non-EU family member, before the non-EU family member can come to the home State? The Treaties allow for the refusal or entry or expulsion of EU citizens on ‘grounds of public policy, public security or public health’. The citizens’ Directive sets out detailed substantive and procedural rules on this issue, which has been the subject of considerable CJEU case law. It’s not clear whether the revision of the Directive referred to at the end here will be as imminent as the planned proposal to amend the rules on a ‘prior lawful residence’ rule for non-EU family members. Otherwise the plan to issue guidelines is clearly not binding. The language on these guidelines partly reflects the existing law, but some features are new: the greater emphasis on past conduct, the lesser need to show that a threat is imminent and the possibility of expelling someone as a ‘preventative’ measure. These changes fall within the scope of Cameron’s desire to have ‘stronger measures to deport EU criminals’. However, it should be noted that there is no specific reference to his plans for ‘tougher and longer re-entry bans for foreign rough sleepers, beggars and fraudsters’. While a conviction and re-entry ban for fraud might be covered by the guidelines referred to above, there’s no mention of clarifying entry bans as regards those guidelines, or changing the legislation on this issue. Also, as I noted in my comments on Cameron’s plans at the time, EU legislation does not allow for re-entry bans for rough sleepers and beggars, since the EU citizens’ Directive states unambiguously that a ban on entry cannot be imposed where a person was expelled for grounds other than public policy, public security and public health. Finally, it should be noted that the draft Decision briefly refers to Cameron’s plan to have longer waiting periods for free movement of persons in future accession treaties. It does not incorporate his suggestion, but merely notes it. However, since the details of each new Member State’s adaptation to EU law are set out in each accession treaty, which has to be approved by each Member State, the UK can simply veto any future accession treaties unless longer waiting periods for free movement are indeed included. The next accession to the EU is at least four years away, probably more. So nothing really turns on the absence of agreement with the UK’s position for now. 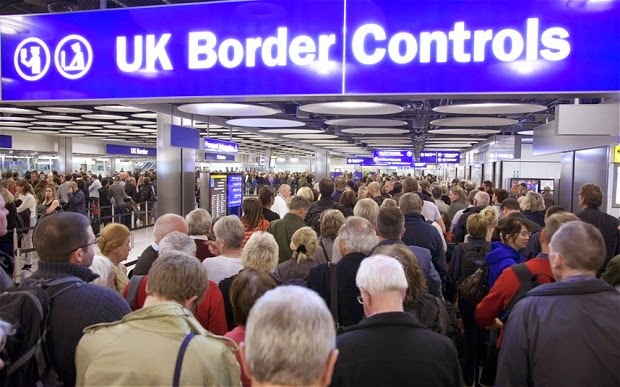 How to appraise the planned changes to free movement law? The most fervent supporters of the EU are likely to see some or all of them as a betrayal of the EU’s principles that should never be tolerated. But the departure of a large Member State is liable to do far greater damage to the EU’s integration project than acceptance of these changes ever would. The changes, if they are all implemented as planned, would fall short of a fundamental change in the UK’s relationship with the EU. But equally it is clearly wrong to say that they mean nothing – if in fact they are implemented. The changes would be modest but significant: amendments to three key pieces of EU legislation that would for the first time roll back EU free movement law, not extend it. Leaving aside the calls for non-binding guidelines, there would be cutbacks in in-work benefits (albeit for a limited period), significantly more control on the admission of non-EU family members of EU citizens, and more limited export of child benefit. The plans not only raise questions of interpretation (although most legislative reforms do that), but of political and legal feasibility: the Commission is willing to propose them and the Member States support two of them, but do Member States support the third proposal – and the UK’s intention to pull the ‘emergency brake’? Will the European Parliament support any of them? Which of them would get past the CJEU? My assessment, as detailed above, is that the amendments on family members will probably be acceptable; the child benefit reforms are an open question; and the changes on in-work benefits are highly vulnerable. Others may reach a different legal conclusion, of course. And British voters will also be making an assessment not only of the rest of the renegotiation package, but also on the broader pros and cons of EU membership. These changes go nowhere near far enough for the EU’s strongest critics, but much too far for its biggest admirers. Time will soon tell whether the British public believes that they are a reasonable compromise. I am currently going through the surinder singh route. Out of interest, i was a student in the UK (lawful residence in the UK) before i married my Brit husband in germany and obtained my right of residence there. he has worked there for 4 months now. do i fall under the first category? I would fall into the second category now, but since i have exercised my right to reside in Germany, that would not apply. Thanks for this point, Sandra, it is an interesting one which had occurred to me too. I imagine there will be transitional rules which apply to you personally, but there will be other people in future who were previously a lawful resident in one Member State and then resided as the spouse of an EU citizen in a different Member State. I think we will have wait for the proposed new law to see exactly how it would work with people in that position. And if people in that position are covered in principle, what if there was a gap when they left the EU entirely for a year or two? there was a gap for me too for a few months before i married in germany and got the legal right to stay. would there definitely be transitional provisions and if not, could UK refuse me on grounds that i was not a 'lawful resident' in my own right independent of marriage in Germany before i got married? I am a lawful resident now.That just seems insane. We can't be certain there will be transitional rules until we see the law. Some CJEU case law says that EU law can't usually apply retroactively but it would be better to have this clearly in the law rather than have to fight for it in court. True, but i am struggling to understand the second clause. Basically the host member state (germany) has the right to treat me under domestic immigration law since i married my husband after he moved to Germany. However, i have already exercised the legal right of residence. Would this retroactively have any bearing on any Member states i move to in the future, including the UK? I was thinking there about people who come into Germany in future. Those there already should be 'grandfathered' by transitional rules in the new law, ie they should still have the benefit of the old law if they moved before the new law applied. Yes but the question is when the new law applies? Suppose someone moved to Germany 2 years ago relying on Metock. Gets legal residence in Germany based on that. Could this person subsequently move to another member state using free movement rights? or be barred for life because he or she relied on Metock when Metock was still applicable. Previously, 'prior lawful residence in another member state' would have been enough. And also this comes back to the 'second Member State' issue, ie does the non-EU family member have to keep satisfying national immigration law in one Member State after another? In my view once should be enough, that is consistent with the EU law principle of mutual recognition. As with everything we have to wait for the law though to make sure. I think if someone moved under the old law and Metock gave them the right to be in another Member State, then that should be equivalent to 'prior lawful residence' if they move again after the new rules kick in. Depends on wording of new rules though. In Akrich, the main problem was that he did not have prior lawful residence in the EU and was an illegal immigrant who claimed the right to reenter the UK with his Brit wife who worked in ireland for 6 months after being deported. This was 'prior lawful residence before entering the host member state', but this new draft seems to be 'prior lawful residence before marriage' which is something quite different! What about someone who has never lived in the EU before, but who marries a Frenchman and subsequently tries to move to the UK with him using free movement? Yes, Akrich had 'prior unlawful residence' in the UK then sought to use the Surinder Singh route to get back to the UK. That's a subtly different situation from people who have 'no prior lawful residence' like the example you give. A non-lawyer would say that sounds like the same thing and lawyers are playing linguistic pedantic tricks but they are not, at least on this occasion. The exact drafting of the new law will be quite important. In whichever form this arrives in (if it does), there is likely to be a large number of Schengen/Irish 'C' visa applications refused under this, and a large number of UK Family Permit refusals. Part of the proposed new rules seem to directly add the Home Office's 'Centre of Life' Regulation (9) into EU law. The legal residency requirement for non-EU spouses appears to be there solely to make it impossible for any Brit to begin the SS route if the non-EU spouse us resident outside the EU. The 'centre of life' point is in the 'clarifications' section, not the 'amended law' section - although the Home Secretary might have spotted that same point as I write. Brits can still start the SS route if they can find a Member State with a national immigration law liberal enough to admit their spouse; this might not of course be a State which it's practical for them to go to in terms of language skills or finding employment. When they say prior legal residency, do they mean that youtlr legal residency in a member state needs to still be valid? What if it expired? That's another important legal detail which the future law ought to address. As always Steve, the devil is in the details. It certainly looks on the face of the Commission declaration that the citizens' rights Directive would not apply at all to those who did not have prior lawful residence. But everything would depend on the text of the final law; the issue of Switzerland might be specifically addressed. I don't think it is certain that things would be the same as regards travel to the UK after Brexit; it is possible that the UK would not stay in the EEA, or would seek to negotiate free movement exceptions from it, since at least some on the Leave side strongly dislike the free movement of people. If the UK did seek to stay in the EEA it would have to join EFTA to do so; so that would mean there would be UK/Swiss free movement - unless again, the UK sought a free movement of persons exception from those rules. The UK might also be willing to remain a party to the EU/Swiss free movement treaty in its own name. It's my opinion that should the UK decided to leave the EU and not become/remain? an EEA signatory (as in having to follow EU law but having no say in the making of those laws}, that trade with Europe will be affected. It's theoretically possible that the EU would sign a deal with the UK preserving full internal market access even if the UK did not sign up to the EEA. But I believe that is unlikely, since there is no precedent for it and the EU would be concerned that it would encourage other countries to leave. Really fascinating blog and very informative. Thanks for putting this out so quickly. I'm very curious about how the Home Office and EU commission will interpret the clarification on "marriages of convenience". It's certainly not a very comprehensive statement but it seem to almost be potentially completely redefining what counts as a marriage of convenience unless I am mistaken. Thus far EU law seems very clear in defining a marriage of convenience as one that was entered solely or primarily for immigration purposes but this clarification seems to extend that definition to genuine marriages that have broken down. In which case that could in my mind leave a large number of couples who were legimately married but seperated but remained married before retention of rights (3 years) could be applied in a very grey area. Am I correct in thinking the Home Office could interpret any guidelines from the Commosion in this way? If so it could many people who have been following the law and legal advise for years' lives upside down. Any thoughts on this reading/interpretation? Thanks. I think the EU definition is even narrower, and only applies to those who have no genuine relationship. Ultimately the question is whether the national courts, or if it comes to it, the CJEU, will agree with the Commission's guidance. In the meantime yes, the Home Office will likely apply the rules in practice in a way that will cause difficulties for individual cases. Thank you for the reply. It seems this clarification might go largely unnoticed due to the other more high profile issues in the draft but I suspect it could be very problematic. I am also really surprised the EU Commosion would suggest communicating guidelines that don't follow previous law. I would be less concerned if there were a legislative process involved with all of its checks but it seems as if the UK home office might be allowed to initially ignore years of court findings and previous EU guidelines by virtue of a simple "communication". In my own case I was a non-EU permanent resident of a EU country (Germany) when I moved to Britain to marry an EU national who I was in a two year relationship with beforehand. Our relationship was thoroughly genuine and cleared home office check but deteriorated and we seperated after two years of marriage but remain married. Now despite all assurances from solicitors and clear EU guidance on the issue it seems as if there is a chance my marriage could be reclassified as one of convenience because seperate on happened three years, which is much higher than the burden placed on Uk citizens. I was hoping to apply for my permanent residency in the Uk soon (having probably lost my previous German one due to living in the Uk) but it now seems I might have to fight for rights that even the home office have stated are mine. I'm mentioning this because I do hope that someone will raise this issue and potential misuse of any guidelines by the Home Office in the coming months. This won't just affect sham marriages as it currently conceived but many genuinely marriages that lasted years. This might not be the biggest issue in the draft but as I said I suspect many people who have planned their lives often following legal advice along the way will be impacted if the guidelines go against the clear line of what is a marriage of convenience that the EU has maintained for years. I'm aware of a number of claims of sham marriage when Brits have applied for Spouse visa or EEA Family Permits, yet no evidence has been presented to support the Home Office's assertion. I believe that this may become a more common occurrence where the Home Office can find no genuine reason for refusing an application. Yes Donald, in a way the Commission communication with the new guidelines is going to make life more difficult in practice because the Home Office will start applying it immediately, whereas a change in the legislation will take longer to agree and may well have proper transitional rules so that no one who complied with the previous law is worse off. People can challenge the Home Office in court for applying the guidelines, but that's a lot of cost and hassle for the average person to contemplate. Thank you your insight into this. That is very worrying - as you point out the EU has consistently defined a marriage of convenience using narrow criteria but this text seems to defy what they have publicly stated for years. I'm curious when you think any new guidelines or clarifications might be put out? Is it likely to happen before the referendum? I'm not familiar with the guidelines /clarification process and wasn't even aware that such guidelines which are in effect legal changes could even be put out with a legislative process. The draft Commission declaration doesn't give a date for the guidelines. Guidelines aren't legally binding so there would be an obvious tension between the text as previously interpreted and the guidelines put out by the Commission. Thanks for an excellent analysis. Regarding the activation of the emergency brake, what do you mean when you say that the European Parliament (EP) will have to approve the legislation, but would have no role on deciding if the brake should be pulled? Do you mean that the EP will have to approve that the emergency brake is incorporated into the Regulation on free movement of workers? Thanks for your clarification. Thank you for such a quick write up, I'll be following this blog closely for your on-going commentary. I'm trying to understand how you came to this conclusion "since national immigration law will apply to their move to the first Member State" ? In my case, I'm Australian, my wife is Brittish, we don't have any plans to move to the UK, (decided it was too difficult/stressful with a young child) instead we decided to move permanently to Ireland. So we move in a month, I assume we'll be able to enter and I'll get my residency after she exercises treaty rights at present (she'll be working immediately) so I'll be treated under EU law there. Now in the mean time, these new rules come in, and then what happens if my wife decides she doesn't like Ireland and wants to try and move to England ? We married here in Australia. Do we get treated under EU law, or under UK law because I wasn't legally resident in the member state prior to getting married ? The Commission declaration says exactly that, national immigration law will apply to the non-EU family member of an EU citizen who moves to another Member State, if (a) there is no prior lawful residence in a Member State or (b) the marriage took place after the EU citizen moved there. The question for you (and obviously others) is the timing. If you move in a month that's before the law would change, so that part is fine - the question is whether, if your move to the UK comes after the law change, whether the UK could then say 'but you weren't legally resident in Ireland'. In my view there *ought* to be transitional rules which cover this, meaning that your move to Ireland should be treated as prior lawful residence since it was legal under the rules at the time. But we won't know for sure until the draft law is actually proposed, then agreed. There is a risk that the UK will then apply the 'guidance' to restrict people's return to the UK though. Rest assured that I will raise this and other points of detail when the law is proposed and negotiated; there are people in the European Parliament who read this blog. I'll suggest some detailed amendments if need be. I can't guarantee that they will listen, but I will make the point. I expect that others will be making it too. If a non-EU spouse of an EU family member isn't already living in an EU member state, then effectively this means that they won't effectively have the right to enter an EU state or apply for an Article 10 Residence Card. If they are only dealt with under national immigration rules, does this mean Article 10 is effectively null and void? You mean, if they are not already living *legally* in an EU Member State. The drafting suggests that they would *never* by covered by the EU Directive and so would *always* be covered by national immigration law, and never get an Article 10 card. But I wonder if this is really what is meant. It may not have been the original intention, but there's always the law of unintended consequences. I believe this would be a breach of Article 8, the right to a family life. I don't get it though. Anon's wife is a Brit and I thought both clauses only apply when you are trying to settle in a host member state with your third country national spouse. If anon's wife returns to UK, surely she is returning to her country of origin and hence surinder Singh would apply. Yes but the Commission guidance would apply to returns to the UK and the Home Office will surely be applying it zealously as soon as they can. Steve I have a question regarding this draft and its potential effects on my current situation. My wife and i currently reside in Ireland, I am the non EU citizen. We were planning to apply for a Family Permit in mid March. Assuming we get approved and arrive in the UK by April. At that stage I would be applying for a residence card in the U.K., if this law goes into effect during my application under current law do you feel the new law would mean that I would then have to meet domestic UK immigration rules? And lastly if one is currently a non EU citizen currently residing in the UK on a 5 year RC< would this draft law have an effect on applying for PR after the 5 years are up. As always thank you for your analysis! There ought to be transitional protection in the new law, but we can't be sure of this until it is proposed and adopted. On the position back in the home State it is possible that the UK will think it has carte blanche to apply restrictive rules as soon as the Commission guidance is published, if not before. In that case people are going to have to think about legal challenges if no other options to be with their family appeal to them. Thank you Steve. Quite honestly if it wasn't for my wife needing to be with her family due to their health I would apply for her to receive a US visa, time consuming but at least they still respect family. Many thanks for this excellent information and review of the proposed changes. I (UK national) am currently considering using Sarinder Singh route for my South American Wife. I'm still in the early stages really. Do you think there is a window of time for people to still use this route before these rules come into play? Do we have any idea of the possible introduction dates? The changes to the law (affecting the move to the first Member State) would apply either late 2016 or sometime 2017, I would estimate. The guidelines (affecting the return to the second State) would probably be published and applied earlier. Can you please explain exactly what that means: first,second? I apologise for my ignorance.We would like to use ss now. If a UK citizen wants to go to Ireland (for example) with his non-EU wife then Ireland is the 'first' State (maybe 'host' State is better). Upon return the UK is the 'second' State (I'll try to stick to 'home' state). Hope that helps. Thank you so much Steve for making time to help.My wife(British) and I (dual s.african/serbian),married in 1995 in s.africa,lived there for 20 years.In 2013 she decided to come back to uk due to job insecurity and crime issues there.She works here and I've been twice on 6m visitors visa.She doesn't qualify to sponsor me (under 18.6k/y).She was offered job (elderly care)in France for several months.We are leaving in couple of weeks,when my vis.visa expires. I was never resident in any eu country.Serbia is visa free for france.Do you think we have time to use ss route under old rules,and would I qualify under new rules? I can't give advice on individual cases. But in general everything is still uncertain about when the new law would apply to moves to the host State, and exactly how the new guidance would apply to returns to the home State. But there's no way the new law would be in force within a few weeks. Even if the return is a problem any move to the host State made legally before the new law applies should surely continue to be legal in that State afterward. Many thanks for this precise and prudent analysis. Are these things (basic legal principles and the ongoing membership of a State, large or small) commensurable, tradable things? Isn’t it troubling, for a jurist, to even consider such a trade-off? And how do you measure the damage for integration of the UK’s withdrawal? Are we sure it is greater? It is difficult to measure or prove things in advance. But in my view it is beyond self-evident that the departure of a large Member State - in the midst of multiple serious crises - is going to damage the EU's integration project significantly. As for a trade-off: trade-offs have already been made. There are Member States that do not have to apply EMU, Schengen, JHA law, and defence. Several others are only going to apply EMU when they want to, no matter what the law says. There is also increased enhanced cooperation and integration outside the EU framework. Those trade-offs were made because it was unfeasible, as the EU enlarged its membership and the scope of its activities, to take every Member State with it. Is it profoundly different to make trade-offs to keep Member States from leaving? I don't pretend to like these trade-offs, as regards unequal treatment of workers or barriers to family reunion for genuine family members. But I think it's a mistake to think that the EU must always be aiming for more integration, and should cast out any country that takes a different view or is unlikely to remain a member unless some concessions are made to it. Thanks a lot for these further thoughts. I don't think it's "beyond self-evident" that the UK's departure would damage integration more than its continuing membership. It would be bad, but the overall assessment will depend on one's point of view, short-term or longer-term, economic or political, more or less committed to the law, etc. The UK has always been a special member, not fully committed to integration. Its utilitarian approach (in it only if and insofar as it's good for Britain), its insistence in positive sum games all around and at all times, first irritated and then became contagious. If the UK stays, how could we be sure that this is not just a first step towards further disintegration, to be continued? A smaller Union may be weaker in economic terms, but perhaps it could be more coherent and avoid further erosion of integration achieved in the past. On trade-offs, I think politicians may and do engage in such things. I don't think lawyers should be so eager to accomodate their wishes, bending the rule of law to breaking point. The opt-outs are of a different nature. Here we are playing, around the Treaty revision procedure, with the basic rule on non-discrimination on grounds of nationality. It's not a trade-off like the one in monetary integration or Schengen. It is a naked trade-off between unity and disintegration, achieved through dubious legal means. I don't think the Union should always aim for more integration. This is a decision of the States and their peoples. But decisions should be taken respecting the existing procedures and rules. Finally, this is not just about "one large Member State". This looks more and more like an attempt at an informal constitutional revision, through a simplified agreement... It would not be on the table if other Member States, including another very large Member State, were not interested in the same things. Even if the UK leaves, as it may, the reforms may stay. We'll have to disagree on what's self-evident. Remember that there are already political parties in other Member States which oppose the EU, and the UK's departure changes the balance of pros and cons of EU membership for any EU Member State that trades with it. The UK might make an effort to develop an alternative much looser model of European integration, as it did with EFTA in the 1960s. There's been a utilitarian approach since the very first version of the EEC Treaty, before the UK joined: French agricultural exports, Italian labour migration, German industrial exports, French equal pay law, French colonial interests....it's a bit tiresome to accuse the UK alone of having selfish interests in EU membership. I don't see the net recipients of EU funds turning them down. There's already plenty of erosion of EU integration (Schengen, for instance) that has nothing to do with the UK. And your line of argument takes the current degree of EU integration as a self-evident good, and does not ask itself hard questions, in light of the EU's current crises: was this level of integration (including enlargement) sustainable? Was it wise to develop an EU refugee policy and abolish internal border checks? Was EMU really feasible, at least with the membership it developed? Was the degree of EU integration too far ahead of public opinion? I agree that the rule of law should not be stretched to breaking point and I do clearly state that some of these legislative amendments might breach the Treaty. In economic terms non-discrimination *is* a trade-off - and there would be a lot more discrimination against EU citizens in the UK in the event of Brexit. From that perspective the real choice is not between the status quo and Brexit - it's between compromising some principles and Brexit. In that sense our debate has an ethical dimension - are there some principles of EU law that shouldn't be compromised? What if refusing to compromise leads to more damage to those principles in practice? And legally speaking the reforms would only take place after a 'Remain' vote (so not a 'Leave' vote), according to the draft. they put aside Metock, what about the EU case Sahin, sho is closely connected to Metock ? So what you are saying is that TCN - familymembers of EU/EEA citizen, have to rely on national immigration law when they return to their home state after exercising free movement in another EEA/EU country, if they got married in the host countrym or if the TCN did not have previously legal stay in another EEA country before moving to the host country ? When will the final draft be given regarding this ? The revised law will apply to all EU/EEA countries. I think when Member States said 'free movement is not negotiable' they meant that the UK would not be able to negotiate a ceiling on the number of EU workers, etc. Rules on non-EU family members are different. Yes, Sahin follows Metock so would no longer apply either. I'm saying that EU citizens with TCN family would be subject to national immigration law the *first time* they move to another Member State. Presumably legal stay by the TCN in that host country would count too. When the family return to the *home* state of the EU citizen then the Commission guidance would apply, with some stuff about 'evading national law'. The UK will zealously apply that, it's not clear how exactly. The final text is due on 19th February but it's possible a deal would only come later instead. Steve, In regards to returning to the state of which the EU national is a citizen. How would the new law effect the ECJ court ruling in OB VS Netherlands? The court in this case stated that it doesn't matter for what reason the move to the host member state as long as the rules have been satisfied and family life has been created or strengthened. Will this ruling become obsolete? The new law would alter the rules on moving to another Member State in the first place, with a non-EU family member. There would also be a requirement for prior lawful residence of that person. Then the guidance would allow the UK (and the Dutch, and whoever else might be keen) to quibble about whether the family was trying 'evade national immigration law' upon its return to the EU citizen's home State. The ruling might still have some relevance - but it would likely be affected in some way. Many thanks for your input on this matter Steve. Surely the ECJ court who made this ruling will object to the new changes being proposed to the free movement rules? The changes will undoubtedly throw many challenges to the ECJ court and they can potential strike down the new rules in the absence of a treaty change? Aterall if I'm not mistake, Surinder Singh rights are derived from the Treaty. I assess in the blog post whether the CJEU might strike this down. I think there's some possibility, but it's not that high, for the reasons I set out there. Yes, Singh is based on the Treaties, but the later OB case makes clear that when an EU citizen returns to his/her own Member State with a non-EU family member, the EU citizens' Directive applies. The intention is to amend the EU citizens' Directive. However since there will only be guidance on return to the home State, we will see how much account the CJEU may take of that. When will this new changes, if accepted, enter into force ? The draft says that the Commission will propose the new laws after the 'Remain' vote (if there is one). They would take at least a few months to negotiate and adopt. There is no date given for the Commission guidance. Hi Steve, thanks very much for the detailed analysis. Do we know when the guidance will be published? Will return to the home state for those falling foul of the new proposal (barring those who married without prior residence) be prohibited at this time? We moved to Germany three years ago and married while on a tourist visa. Can you say whether it would be advisable to return to the home state before the guidance is published or would that not be necessary? Thanks very much for your help! There is no specific date for publishing the guidance. I assume that like the other proposals for new laws, it would come shortly after the 'Remain' vote (if there is one), but that's just a guess. I can't comment on individual cases. It remains to be seen what the guidance says, how it's applied and whether it might be challenged. Moving back to the home Member State before it's published might be prudent but could also prove to be unnecessary. Thank you very much Steve for your analysis. You gave an example that if a German woman already in the UK married her American husband, the UK would have to treat her the same as a British woman in the same situation – but no worse. Yes, that logically follows. The non-discrimination point would have to be confirmed by the CJEU (or in the legislation), however, it is not absolutely certain. Sorry for asking, but this makes me worried as I am in special position. I am from Syria. My husband and I got married and lived in Lebanon for 2 years before we moved to Ireland on May 2015. I've got my family permit on 20 Dec 2015. We plane to move to the UK by the end of Feb.
Is there any chance that that law could effect us? I'm just worried because I have no place to go to. I can't go to Syria because it got worse, or any neighbouring countries because all need visa. I can't give advice on individual cases. But it is hard to see how any new law would be in place already by the end of February. Yes, you are right, I just thought it might change the rules for people who want to apply for the UK residence card under "surinder singh" judgment. Anyway, maybe we should wait and see. Steve one final question for you if i may. I know the specifics are all still very up in the air as far as this draft deal goes, however i wondered if you could shed some light on the expected legal process to be followed. Such as if this Thursday the draft is agreed upon, does anything listen inside said draft come into force, or is it simply a placeholder to be published later as an actual proposal(s) upon the UK's vote to remain. I know you cannot answer based on specific situations, so the general question is do you feel any of the guidance regarding free movement will be in force, or interpreted by the uk as usable BEFORE the June vote. As this directly effects my and most likely others decisions to know if waiting to submit Family Permit applications until after this Thursday could be problematic. Thanks again Steve for all your hard work. Thanks for your question, Adam. As the draft stands now, nothing would happen until a Remain vote, if there is one. Sorry to be a pain steve! Regarding section D "Interpretation of current laws" which deals specifically with the ability to deny third country nationals based on "circumventing national immigration laws", would that section be deemed usable as guidance once the draft has been agreed upon? And what are your thoughts on how that would apply since it is in direct contrast with the Surrinder Singh judgement, if someone meets those requirements then how does enforcement of that clause become legal? It says that the Commission will issue the guidance after any 'Remain' vote. However I suppose the UK government could argue that it the main decision is immediately useful as an interpretation of the Treaties. The question is ultimately whether the CJEU goes along with that when and if it comes to it. Hi Steve, We've just applied for a residence card in Ireland and hope to return to the UK after exercising treaty rights. It's currently taking about 7 months for Irish immigration to issue these cards. We fear we will have return to the UK after the referendum vote. How will the new rules effect us? The draft says they will become law as soon as the UK votes to stay in the Union. No, the draft says that the Commission will propose a new law on the move to the host Member State after a Remain vote is notified. The law would take a few months at a minimum to be agreed and come into force. The guidance from the Commission on return to the home Member State would not need to be negotiated, but then it won't be legally binding. Thank you for the very informative reply. I should have been more clearer. What I was suppose to say, if we return after the referendum could the Home Office in the UK sate that we tried to evade national immigration rules? Will that part of the law take effect after a couple of months as well? If they apply it in the event of a in vote, how would this effect those who want to return? Please shed some light on this matter for all of us. It's not clear what the relationship is between the planned new guidance on the return to the UK and the planned new law on the need for prior lawful residence in the host State. Hopefully there would be transitional rules for anyone who has acted in good faith, we'll see. Thank you for the quick reply Steve. Your posts are always very informative and I enjoy reading them. Thank you Steve for your article. It is really informative and clear. Hope you write a follow up article in the next months. Thanks, Manuel. I will probably do an updated version of this blog post when and if the deal is done - if anything changes in the final deal. Good morning Steve, something else occured to me today that I have yet to see touched upon. If indeed the draft passes as is, and the section regarding "excluding from the scope of regulation 2004/38/EC" is implemented, wouldn't that then in theory mean that Surrinder Singh as route is indeed quashed? My thinking is the case law of singh related to regulation 9 and regulation 2006, which is based off reg 2004. If all third country nationals are excluded from the scope of the very base of the case law, wouldn't it all be null and void? Secondly even if one has exercised rights before the changes, aren't EEA2 and EEA4 Residence cards in the Uk also based off the fact that third country nationals are NOT excluded from regulation 2004? I'm curious if i am understanding the workings of all of this, and have read your analysis a few times, i am just curious of your thoughts on this. Thanks again! Thanks for your comment, Adam. I haven't thought through the logistics of how this impacts on the UK implementation, although of course that will be crucial 'on the ground'. But the intention is not to exclude all third-country nationals - just those who had no prior lawful residence or who married the EU citizen after he/she moved to another MS. Those who had prior lawful residence and who were married before the move of the EU citizen would be covered. Admittedly though that category of family would likely see no need to move to another Member State for Surinder Singh purposes. Very true Steve. But those non eu citizens who married an EU citizen in a third country, would in theory under this proposal never be entitled to those rights, therefore wouldn't it translate to always having to meet National immigration law, even for subsequent moves including returning to the eu citizens home state? Wouldn't this also essentially defunct article 10 residence cards, and in the UK eea2 and eea4 residence stamps? Because if those who had no lawful residence before marrying, aren't those who would generally be the people applying for article 10 in the first place? What concerns me is this actually seems to be far more wide reaching than I initially thought, meaning Surrinder Singh would in reality be impossible, since that case law is only because EU citizens third country spouses WERE at the time included in the scope of Reg 2004. Sorry if i am over analyzing, but not only do i find all of this quite interesting it directly would have a bearing on the choices many couples/families would have to make in the coming few months. I assume it would be sufficient to meet the requirements of national immigration law once, although that's not clear until we see the actual legislation. Article 10 residence cards would surely still apply when (say) a UK citizen in the UK marries an American, who moves to the UK in compliance with UK law; then the family moves to France. Ahh ok that makes much more sense. So the bottom line is until we see the actual proposal, and/or guidance it is all very vague. It is the wording of the initial statement that throws me off, that the third country national must have legal residence in an eu state before marrying to benefit, because that sounds to me like even if you then later DO have legal residence (Via national law of an eu nation, or you have already been legally resident under current law) you still can never benefit from Reg 2004. That is what is throwing me off, because it sounds like every time you would want to move you would have to meet a new countries National Immigration law, since you cannot change the fact that you had no legal residence before said marriage. I will just go with hoping that if someone applies for a residence card under current laws derived from Reg 2004, even if these proposals pass during said application they will follow general law and not apply the changes retroactively, which would also allow me to conclude that for those currently on an Article 10 residence card would be apple to apply for PR under the old rules. Does this effect people already got resident permit under the old rules? See the reply to the next question. Does this affect non eu spouses who already have resident permit as per family reunification under the old rules? or how are they effected? Do you mean people who have moved already to a host State, and plan to come back to the home State? Presumably there will be transitional rules - we don't know yet. Steve you commented above in one of your ealier posts that the court in Metock and OB referred to the Directive. In the case of Surinder Singh the court has stated the right of EU national to move back to the country of which they are a national is derived from the treaty. Surely one can invoke the Surinder Singh judgement and challenge the new rules as they would be unlawful without a treaty change? Yes the right to return to the home Member State is derived from the Treaty, but upon return the UK citizen is treated the same as if he or she were covered by the Directive, according to the case law. That is presumably why the plan is to change the Directive, so as to a) make it harder to move to the host State and b) apply the lowered standards in the Directive on return as well. It might still be argued that this is an 'obstacle' to Treaty free movement rules, that is why there is some possibility that the guidance on the return to the UK might violate the Treaty, and the legislation might be challenged too. I guess we'll have to wait and see what happens. There's a lot of fuss at the moment on securing a deal for the UK to stay in the Union. I've not yet heard anything on freedom of movement for family members. Do you think an agreement has been reached on this matter with other EU leaders? Its sad to see the European Union leaders have agreed to a crack down on freedom of movement for family members. The European president said that they won't tolerate discrimination between EU citizens, they have just done that. would you argue the emergency benefits brake contradicts Art 45 (2) and Art 7(2) Reg 492/2011? Thanks for your question. The intention is explicitly to amend the Regulation, so that's not an issue (if indeed it is amended). At first sight it seems to me that it may well breach the Treaty because the justification for discrimination does not seem as strong as the cases where the Court accepted such discrimination (look at the criteria in Bressol, for instance). But the question of whether EU legislation can validly provide for this particular form of discrimination has not been tested before, and the CJEU will have the final word if it comes to it. Is there any CJEU case law/secondary literature which would support the notion that child benefits could be prohibited from being sent overseas without Treaty amendment? the lack of case law on the issue makes it difficult to determine whether child benefit non-discrimination stems from Reg 883/2004 or the Treaties themselves. Thanks for your question, Wil. The Pinna case said that not exporting benefits at all was a breach of the Treaty rules on free movement of workers. The export rule is also in the legislation. But the CJEU has not ruled on whether a limit on the total amount of benefits being exported (as distinct from a prohibition) is a breach of the Treaties. There may be a better argument that it is not, since it reflects different situations as regards the cost of bringing up the children concerned. So, essentially, should Union legislation seek to index the exportation of child benefits, it would be a question for the courts on the basis of proportionality (as it seeks to derogate from the treaties) to determine whether this indirect discrimination is justified? Am I correct in saying so? Yes, if the restriction on exporting the benefit is challenged in the courts, it will ultimately be up to them to rule on the legality of the restriction. Hi Steve. Thanks for writing such an informative article. My own personal situation is that I am married to a Filipino woman, but being denied my rights as the Spanish (where I am resident) insist on the marriage being registered by the British Government. As you may know, no such register exists in the UK for marriages contracted outside of Britain. I believe this insistence is in breach of my rights, and an unlawful reason for refusal of entry for a core family member. The Spanish are relying on their own Civil Code which requires this of their own citizens, and are therefore imposing the same requirement onto us, yet the facility does not exist for a British citizen to register their foreign marriage. We have a registered (in the Philippines),authenticated (by the Philippine DFA), legalised (by the Spanish consulate in Manila) and translated (by a sworn translator) wedding certificate. Thanks, Chris. It could be argued that one or both countries is creating an obstacle to free movement rights, but the interface between free movement law and family law has never really been addressed by the EU case law. If you wanted to pursue it further you would need to consider consulting a lawyer. As you may know the crucial issue would be how to interpret Article 10(2)(b) of the citizens' Directive, which refers to 'a document attesting to the existence of a family relationship' as a condition of getting a residence card. Chris, have you contacted SOLVIT? If you have and have had no success, check out the British embassy of Manila website and see where it says "Marriage and civil partnerships We can issue affirmations or affidavits of marital status and, in some circumstances, perform a marriage or civil partnership for British nationals. ..." and ask you wife (you try too) to contact them and inquire about getting some sort of document that attests to your marriage. Perhaps, with the DFA certified NSO marriage document they can provide you such a certification, then you can get that translated into Spanish, stamped by the Spanish embassy in the Philippines and that would suffice. Many steps, yes, but Southern European countries are just overly-bureauractic and it may be worth a shot. This issues of requiring UK spouses of non-EU nationals to have a foreign marriage registered in the UK seems to occur sporadically with the consulates of some EU member states (e.g., Greece and Italy), and more often with Spain. It must be a very frustrating issue for those trying to obtain a visa, and there does not seem to be any solution to it, since some member states even refuse to accept the 'Informative note on the Recognition and Validity of Marriage' issued by many UK consulates and embassies worldwide. As I understand it, Commission Communication (2009/0313 final) states that "Marriages validly contracted anywhere in the world must be in principle recognized for the purpose of the application of the Directive", which is guidance, but nevertheless indicative of the EU position. On top of that, these types of practices, as reported in complaint responses to Your Europe represent undue obstacles to the exercise of free movement within the meaning of recital 14 Directive. "The Court of Justice of the European Union has previously ruled in Commission v Italy Case C424/98  ECR I4001 that the national authorities could not require citizens and their family members to have documents certified by the consular authorities of their Member State of origin and held that by limiting the means of proof which may be relied upon, and in particular by providing that certain documents must be issued or certified by the authority of a Member State, the Italian Republic has exceeded the limits imposed upon it by Community law. (at para 37). In Dafeki, Case C336/94  ECR I6761 at para 19, the Court ruled that the administrative and judicial authorities of a Member State must accept certificates and analogous documents relative to personal status issued by the competent authorities of the other Member States, unless their accuracy is seriously undermined by concrete evidence relating to the individual case in question In addition, the Commission s guidance on implementation of the Directive (COM(2009) 313) states that Member States may require that documents be translated, notarised or legalized where the national authority concerned cannot understand the language in which the particular document is written, or have a suspicion about the authenticity of the issuing authority." It doesn't seem so much to be an issue of obtaining consular legalisation from the EU citizen member state of origin (normally the UK), as UK embassies will indeed often do this if reasons are given as to why such legalisation is required (foreign marriage certificates do not normally need to be legalised by UK consulates to be valid in the UK), but instead it seems to be an issue of requiring the EU citizen to acquire a form of 'recognition/registration/or validation' that the marriage is accepted by the UK, a form which is simply impossible to obtain unless one obtains it from a UK court of law, which would be a ridiculous requirement in order to obtain a visa or a apply for a residence card. Let's hope some light is shone on this issue because it has certainly made life difficult for quite a few people. I am a UK Citizen living and working with good income in France for the last 2 years. I want my elderly parents who are wholly financially dependant on me to join me in france for 3 months. Will it be possible for me to use the surinder singh route if the proposed changes take into effect? I can't give advice in individual cases. In general, though, if the changes go ahead, a UK citizen in another Member State would have to show that his or her dependent non-EU parents are 'legally resident' in a Member State before they could join him or her. Upon return to the UK, the Commission guidance would apply. How long will it take for the amendments regarding non-EU family members to be applicable if the UK votes to the remain? I am a French citizen living in the UK, I am going to marry a non-EU citizen soon and I would like to know when the new rule is likely to apply. Too early to be sure. I would think the end of this year at the earliest, but might be later.